Sorry, we are currently sold out of 'Big Metal Buddha Statue from India'. Please click the Wait List link below and you will be notified when it is back in stock. This big Metal Buddha Statue from India is constructed of brass and has an "antique gold" finish. And when we say this is a Big Buddha Statue, we mean that it is nearly 15 inches tall, and the appearance is serene. Being made of metal, it allows for smoother details than stone statues. 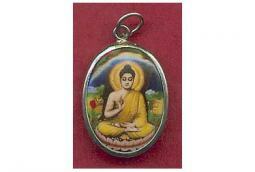 This Buddha is rather inexpensive for its big size and quality. 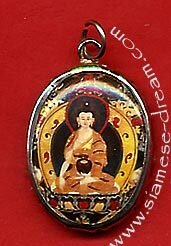 Many people ask what the meaning of a Buddha statue is, and this style of Buddha statue has the meaning of calling forth our inner divinity.